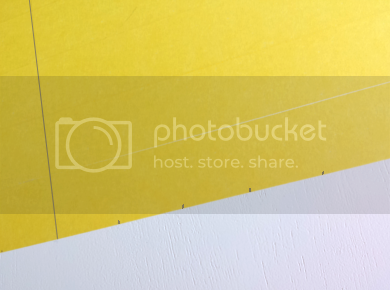 This is a Sponsored post written by me on behalf of FrogTape Brand Painter’s Tape for SocialSpark. All opinions are 100% mine. 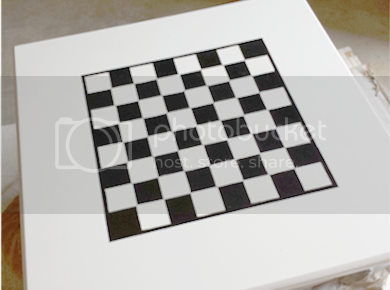 This checkerboard table will provide hours of fun for adults and children alike. 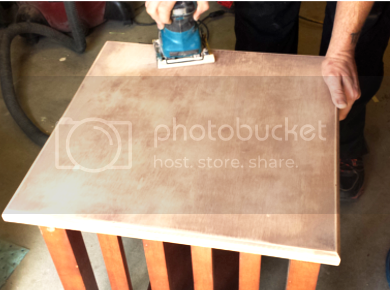 Prep the table by sanding it down. This will allow the paint to adhere to the table. 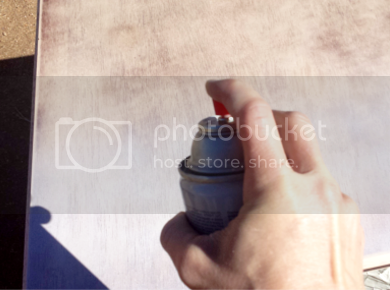 Spray on your base coat. Allow paint to dry for at least 24 hours before using FrogTape® Delicate Surface or more than 3 days, using FrogTape® Multi Surface. 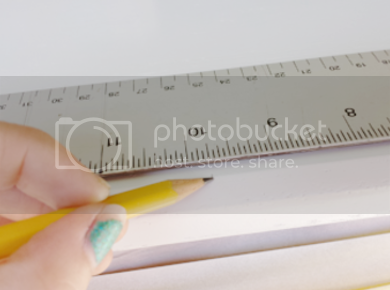 Measure one side of your table and lightly mark the center point with a pencil. Do the same to the opposite side. Use these marks as a guide to place your tape. Place four strips of tape, side-by-side, to the right of your center marks. Then place four more strips of tape, side-by-side, to the left side of your center marks for a total of eight strips. Measure the length of your table and mark a line across the center of your tape making sure to only mark on your tape and not on the table. From the center line make four marks, each one measuring 3 1/2 cm. (This is the width of the FrogTape® Delicate Surface. If you are using a different tape you will need to adjust your measurements.) Make four more marks on the left side of your center line. Do the same to the opposite side of the table. Line up a yard stick with your first set of marks and use a couple clamps to hold the yard stick in place. Using a cutting knife, cut through your tape being careful not to cut too deep into the table. Do the same for the remaining eight lines. 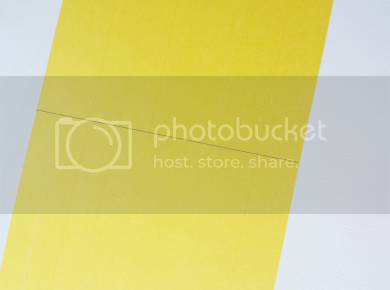 Tear off the extra tape so that you are left with a perfect square. 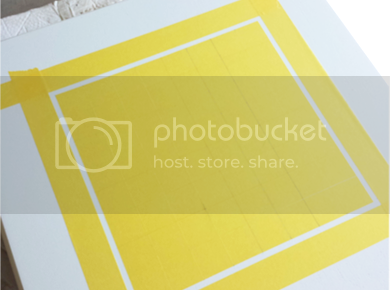 Measure 1/4 in around your square and place four more strips of tape to make a boarder. 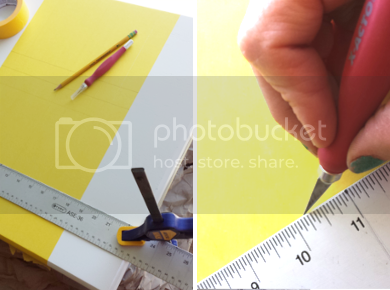 Tape off and cover the outside edges of the table. 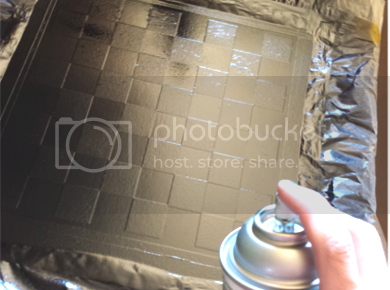 Start making your checkerboard pattern by tearing off every other square on the grid you created. Paint your design on the table. Immediately remove your FrogTape® after the second coat of paint has been applied. Get ready to enjoy hours of fun! The FrogTape® Delicate Surface™ is perfect for this project because you only have to wait 24 hours between coats before applying the tape. This allowed me to finish the project in less than two days. FrogTape® is the only painter's tape treated with PaintBlock® Technology. PaintBlock is a super-absorbent polymer which reacts with latex paint and instantly gels to form a micro-barrier that seals the edges of the tape, preventing paint bleed. This makes FrogTape® the best tape ever! It is the perfect tape to use for any of your DIY painting projects! If you would like to view more inspirational ideas for creating with FrogTape®, you can follow FrogTape® on Twitter @FrogTape. For those of you who have used FrogTape® before, what did you create? For those of you that have not used FrogTape® I encourage you to give it a try and share your projects with me on my Facebook page using the hashtag #FrogTape. Thanks Carole. I couldn't agree more. My girls play with it almost every day. 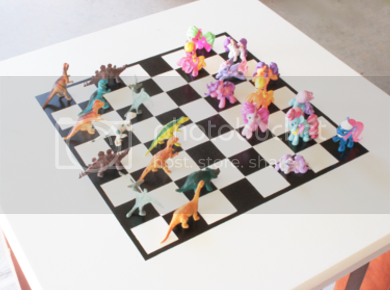 Even make up their own games to play on it.